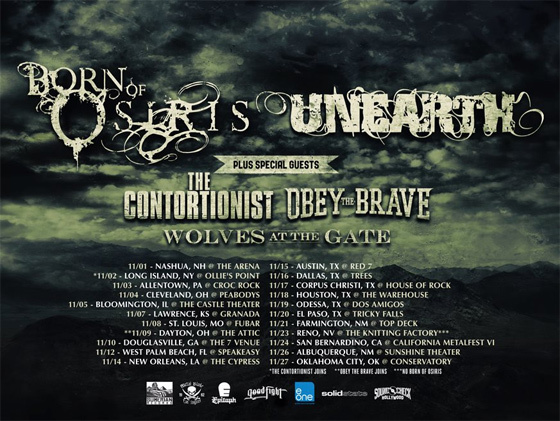 BORN OF OSIRIS / UNEARTH TOUR KICKS OFF! There’s a HUGE Metalfest currently on the move. Born of Osiris and Unearth will be terrorizing American crowds all month with The Contortionist, Obey The Brave, and Wolves At The Gate. The tour just kicked off and it will be going strong until the end of the month. Check the flyer for dates and blast the music below!